Here's the Petition for '492 patent that is relevant to the blog posts of the past two day. Today we'll just focus on what was said in the Petition about the scalable address limitation. The argument for this limitation appears on pages 8-11 of the Petition. The first excerpt is the main portion of the argument, following some figures from the prior art. Here's the excerpt (Petition at 10) explaining how the address of the wireless device is "scalable." 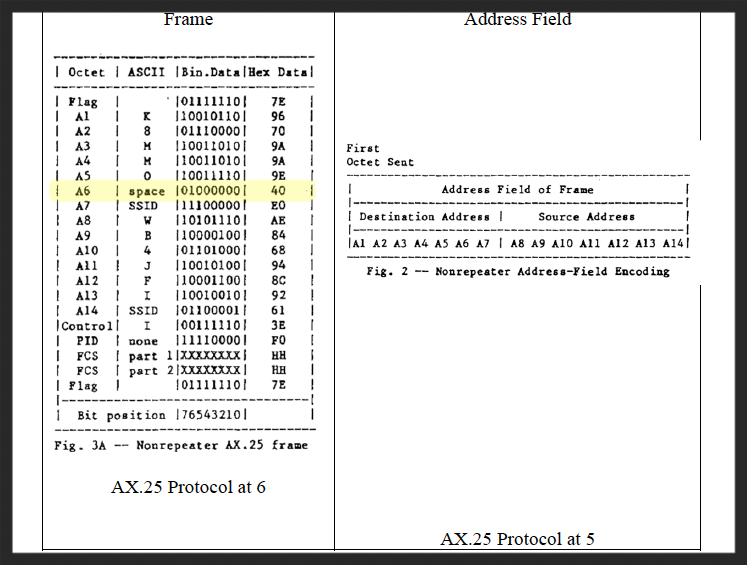 These are the figures from the prior art explained by the Petition, basically showing a frame of the packet and further isolating the addresses appearing within that frame for the protocol. (Petition at 10). The crux of the argument is that the address of the receiving device is K8MM0 and this address is only 5 characters, so it must be padded with a space in the frame. Other addresses could be 6 characters with no padding. So the address of a receiver can be variable (at least 5 or 6 characters), so the address of the device is scalable, as that phrase is interpreted. Again, if the specific address for a device could actually be considered "scalable." The Board Decisions, as we spoke about before, disagreed because the frame that contains the address has a fixed number of character positions. But that misses the point as to the address, not the frame. For the very definition adopted by the Board, as we previously addressed. Tomorrow we'll walk through the pre-institution decision.